If there is one thing Tom Holland loves, it is a good photo-op. Since the start of filming for Spider-Man: Homecoming, Holland has made sure to document his experience to show the world. If you check out his Instagram, you’ll see plenty of images of Holland dressed as the web-slinger, both on and off the set. It is an interesting way for Marvel to market his character, but it is undoubtedly working. Now, in addition to the Spidey set selfies we’ve already seen, the @abouttomholland Twitter page has released a new batch of never before seen set images. The images give us a glimpse as Tom Holland as both halves of his persona, Peter Parker and Spider-Man. The photos don’t give us much insight into what is actually happening in the movie, which is a shame, but still gives us more of an idea of what we can expect for Peter Parker’s look. One thing is for sure, he certainly does look the part. 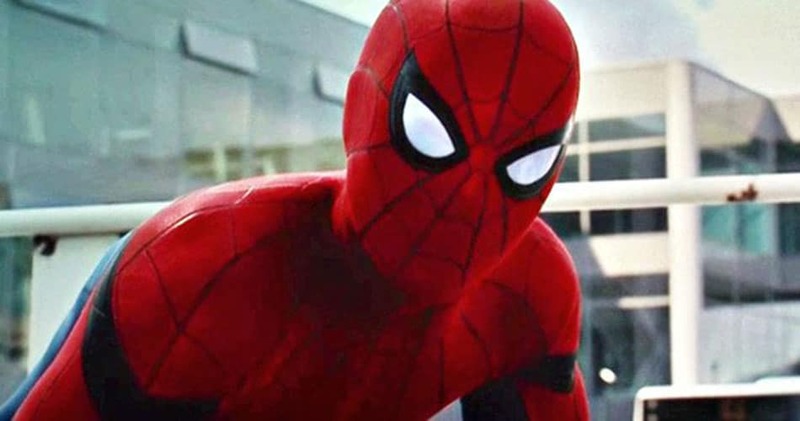 The Spider-Man costume has holes in the eyes, presumably to allow for CGI. So even though it looks as if the most we’ve learned from these images is that Peter Parker likes blue sweaters, they’re still a fun insight into the production of what is sure to be another hit for Marvel. Hopefully the next batch of set images gives us something a little juicer. Until then, I guess this will tide me over… for now. Do you think Tom Holland will nail the role of Spider-Man in his first solo film? Make sure to let us know what you think below in the comments! Spider-Man: Homecoming hits theaters July 7th, 2017.